This information was gleaned from Eurocarb. Whenever the float or float-arm position does not correspond to the proper specified level setting or is not parallel to the float chamber face, bend the float arms carefully to set the correct position. * PHSB/VHSA/VHSB one piece float assembly. 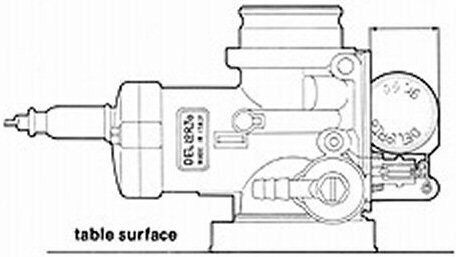 For connected floats, hold the carburetor body in the position shown in fig. 13 and check that the float is at the correct distance from the carburetor body face as specified in the table. For the floats with independent parts, hold the carburetor upside down (fig. 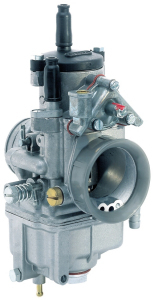 14) and check that the float arm is parallel to the carburetor face. What is the difference between connected floats with floats with independent parts? Thanks to Charlie Mullendore of Antietam Classic Cycle who posted this information on the Yahoo! Loopframe_Guzzi news group. Independent floats slide up and down on a steel pins and aren't connected in any way. There are two floats and one common central V or U shaped metal piece that act upon that controls the needle. Connected is two floats attached to a common central V or U shaped metal piece. This is the type VHBs use. Figure 13: setting the float on carburetors with connected floats. 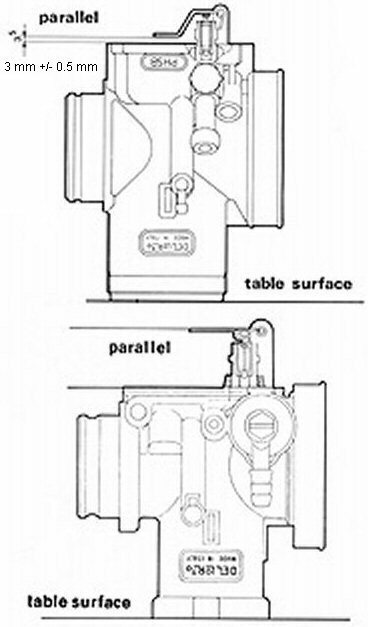 Figure 14: setting the float on carburetors with independent parts.